The Robin Hood Foundation is New York City’s largest poverty-fighting organization and is one of the most innovative grant-making organizations in the world with a laser-focus on results. Historically, Robin Hood used a custom-built SugarCRM to manage the grantmaking process as well as Excel to calculate impact and metrics by grantee. Yurgosky worked with Robin Hood to enhance their fundraising operations and custom-build a complete set of grant-making tools from the ground-up. The Grant-making tools required custom library development, transforming Salesforce in ways that have never before been possible, and allowing the organization to target organizations and structure grants in ways that significantly increase their impact. Additionally, Yurgosky built custom processes that facilitated contract creation, payment management, reporting and evaluation across the nearly 250 organizations in Robin Hood’s ever-changing portfolio. 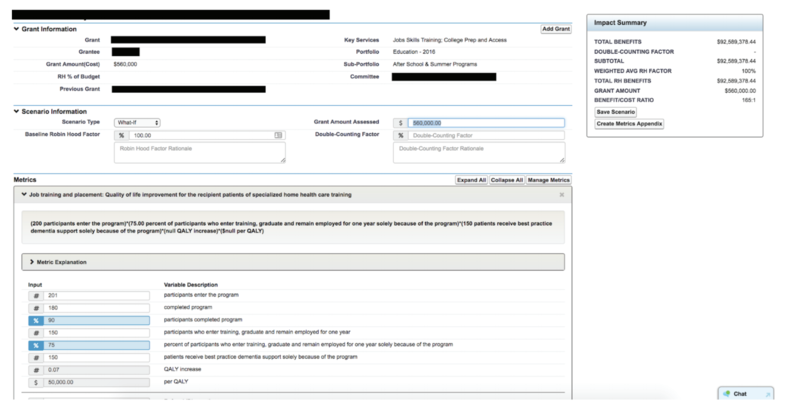 Yurgosky also built a grantee-portal (forthcoming) that will provide grantees with an unparalleled look into the impact of their programs and ability to collaborate internally around reporting.